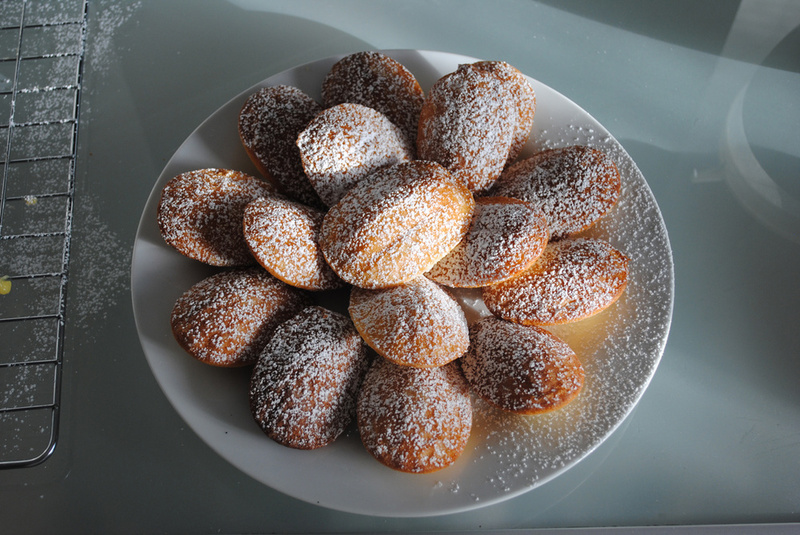 For a Casablanca-themed party (and to justify the madeleine tray sitting in my very full baking cupboard) I decided to make some madeleines this week. However, rather than just making plain ones - which I've made before - I thought it might be nice to try a couple of new flavours in a little madeleine-off. 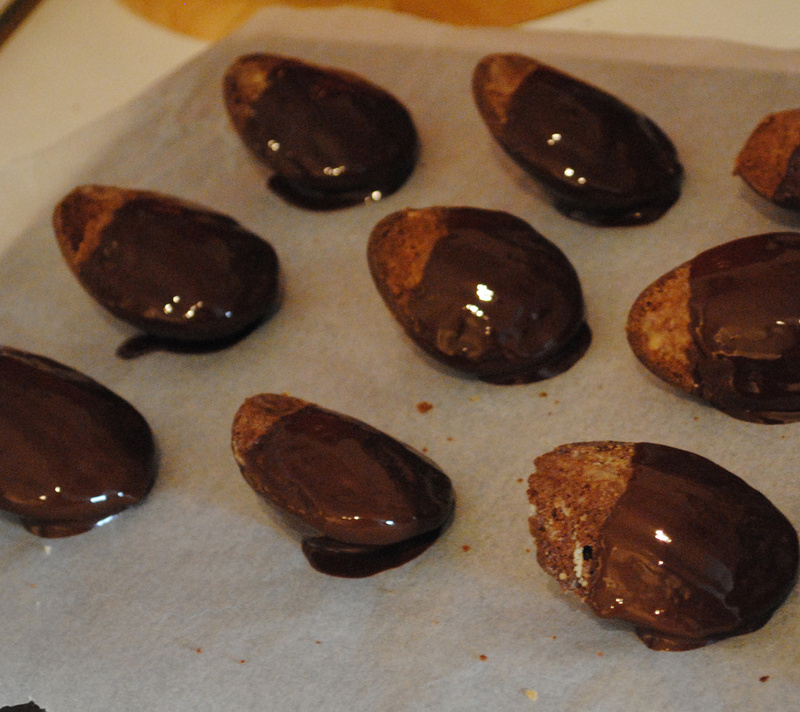 So I chose to try Rachel Khoo's lemon madeleines and Rachel Allen's chocolate version. I made a few tweaks to these, like taking the raspberries out of Rachel Khoo's - they're not in season at the moment. The flavours are obviously quite different for these, but it's the difference in techniques that interested me. Whilst both use melted butter for the batter base and make a sponge that is pretty much equal parts butter, sugar and flour, Rachel Khoo's recipe replaces some of the sugar with honey, which I hoped would contribute to a light texture whilst adding a little boost of honey flavour to the sponge. The additional egg in the recipe also suggested that the cakes may end up a little softer than Rachel Allen's. That said, Rachel Allen's recipe recommends whipping the egg and sugar into a mousse-like mix before adding other ingredients, which means they could end up lighter due to all the air trapped in the mix. The lighter madeleine is generally the better madeleine, so I was very interested to see which technique would come out on top! I started by making the batter for each, adding lemon zest for Rachel Khoo's recipe and cocoa for Rachel Allen's. The batters then need to rest in the fridge for at least 2 hours, but in this case overnight so that I could bake them on the day they'd be eaten - always the best option with madeleines! Rachel Khoo's recipe suggests making lemon curd to pipe into the madeleines once baked, so once the batters where finished I started on this. I've only made lemon curd in a bowl over a pan of simmering water before, which can take a while but isn't too risky. This time I trusted Rachel and went for the more dangerous method of cooking it straight in the pan. I use the word dangerous loosely - you're not likely to end up in hospital, but you could well wind up with lemony scrambled eggs if you're not careful. However, after a lot of whisking and panicking, a lovely thick lemon curd was made, and I'd be happy to make this again just to have a jar at the ready for some weekend toast! After chilling out for ages, the mixtures were ready to be baked in my oh so lovely (though not very versatile!) madeleine tray. And again, here's where the recipes differed - Rachel Khoo suggested turning the oven off for 1 minute in the middle of baking then turning back on but to a lower heat, whereas Rachel Allen's recipe bakes them at a constant temperature for 12-15 minutes (though I opted for 12, as baking them for 15 minutes seemed far too long!). It's a bit difficult to directly compare the two finished products since the flavours are so different in each. 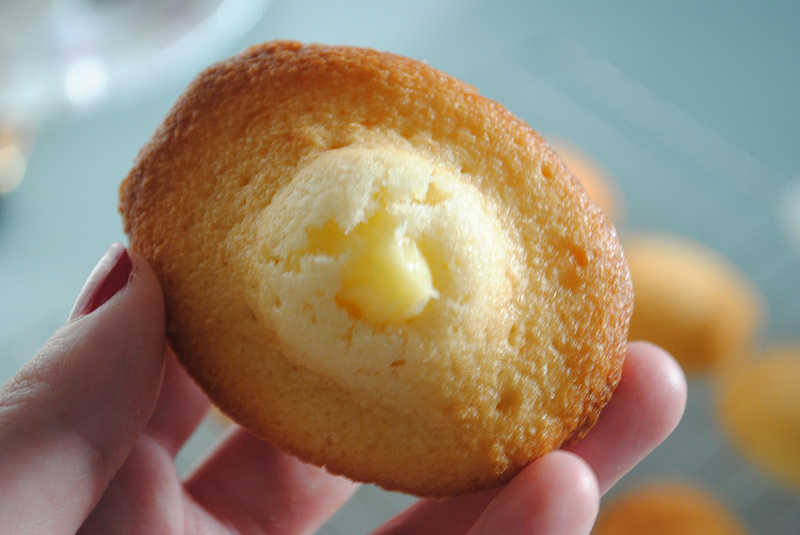 However, sticking to our rule, lighter madeleines are generally better - and the lemon ones are significantly fluffier. 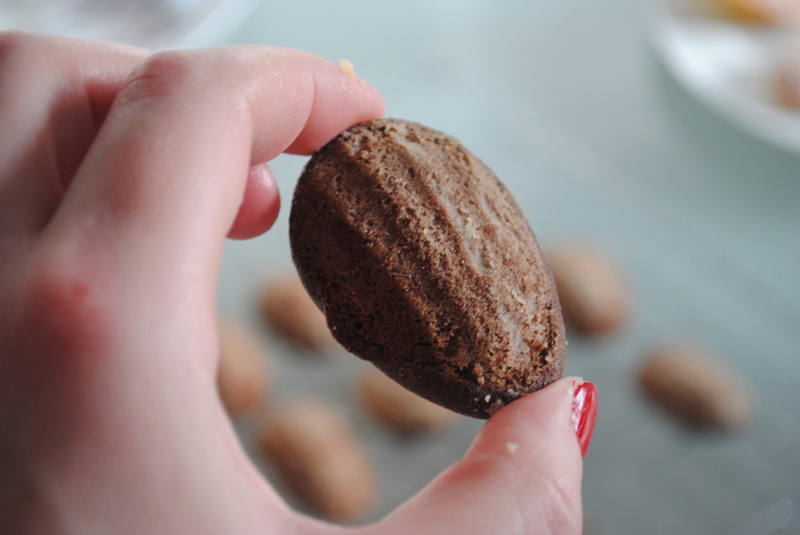 So congratulations Rachel Khoo, I declare you The Madeleine Queen! I guess that makes me a lady-in-waiting or something.